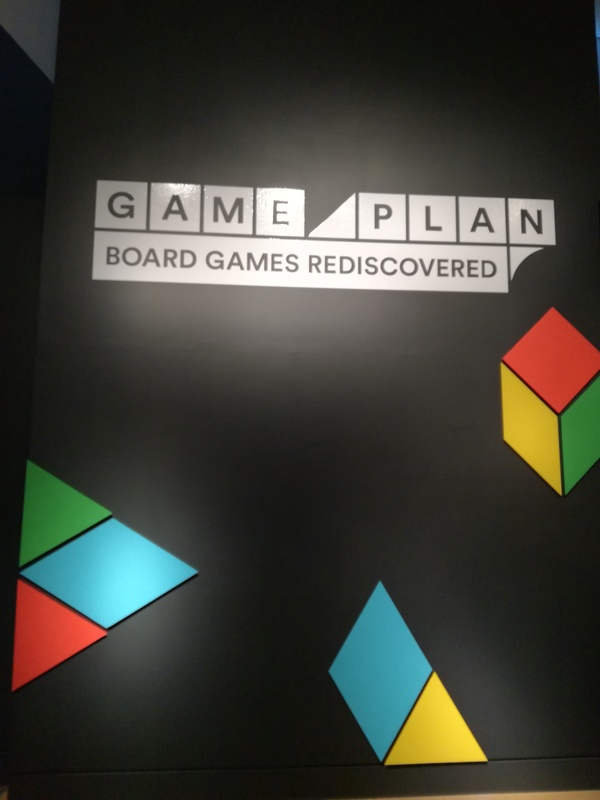 It was a little while ago now – the beginning of autumn if I recall well – that we went to Game Plan: Board Games Rediscovered, the wonderful exhibition that is on loan at the Sea City Museum (Southampton) from the Victoria & Albert Museum (London). All I can say about this exhibition is only positive. It was a wonderful experience to go and learn about the history of board games and how the hobby has changed throughout history. 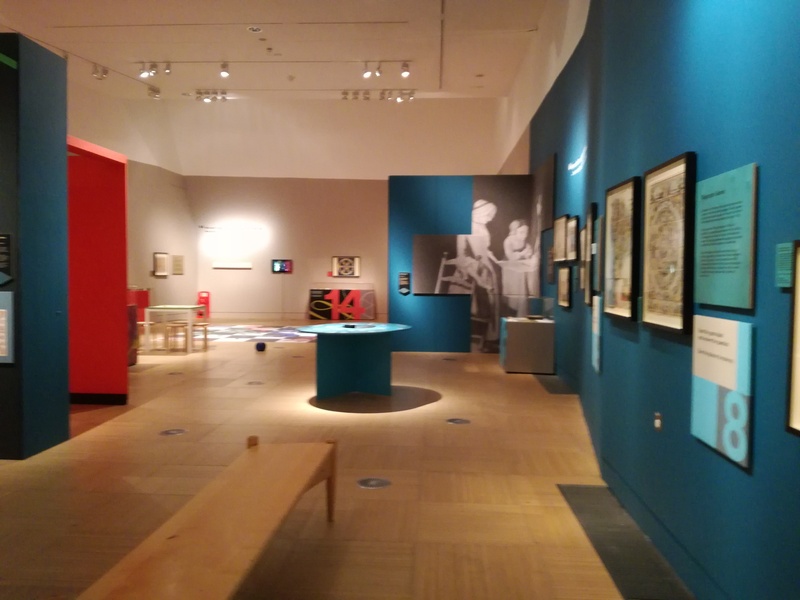 I thought that the exhibition followed an excellent dynamic with information, items on display and plenty of interactive bits – such as the life-size Snakes and Ladders game. It was really fun and well thought off. This was the main exhibition area. You can see there at the back the dice for the life size Snakes and Ladders, but there were other things you could do. The interactive bits occupied the middle of the room where the space was necessary whilst the information panels where on the sides and walls giving you the context relevant for each game or development era. It was really cool seeing a chess board with pieces from all the way back to ancient and medieval history, up to current times. 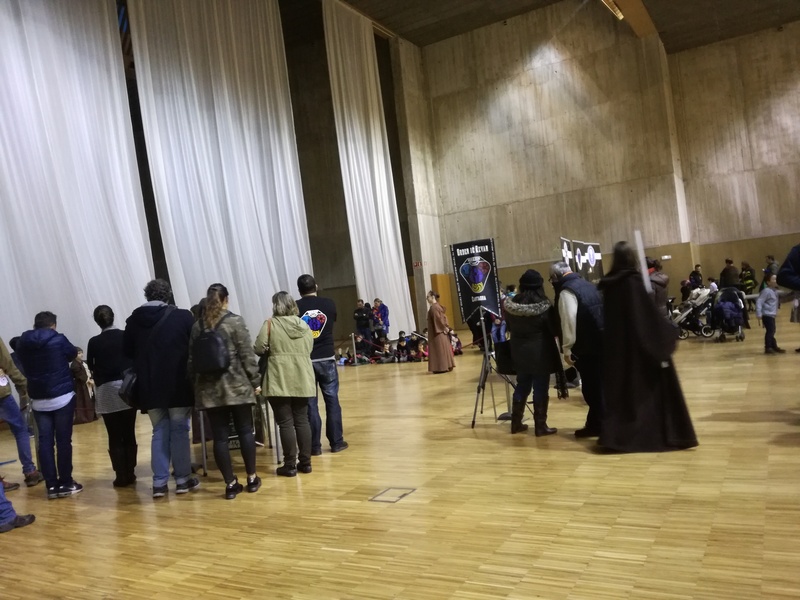 zona central de StarCon donde se realizaban las actividades y donde se encontraban los stands de asociaciones diversas relacionadas con Star Wars como el Escuadron Cantabro de XWing. The activities area in StarCon where they also had stands such as the Escuadron Cantabro de Xwing.